CHECHESMITHNATION : Rihanna Traced Her African Route. Rihana sure knows how to create her own style and still pull it through. 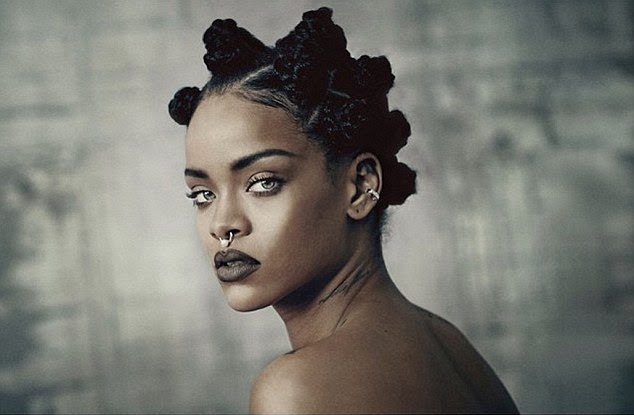 She rocked the Bantu knots hairstyle like she is born for it. Well, I see more than the Bantu knots,i see them piercing hazel eyes..so so pretty!! Bantu knots,are so cute and spicy, quite popular with the African women,but of course any hair texture can now wear the look, be it natural,relaxed....Bantu knots rocks! !